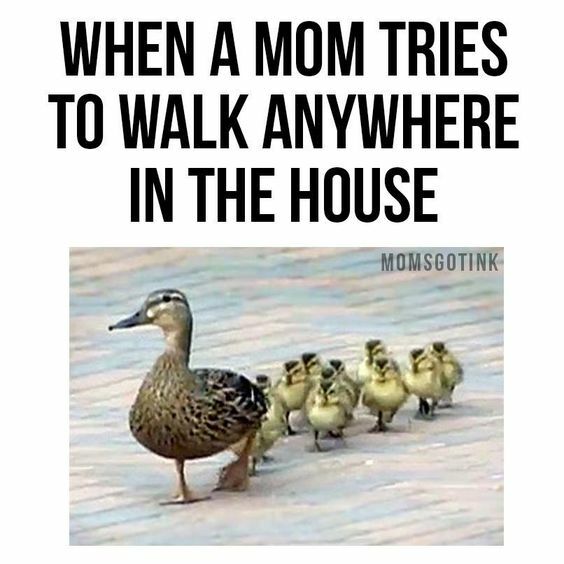 So I thought I would share with you some of the memes on the internet that reflect my present life as a mom. Disclaimer: these memes are not mine. 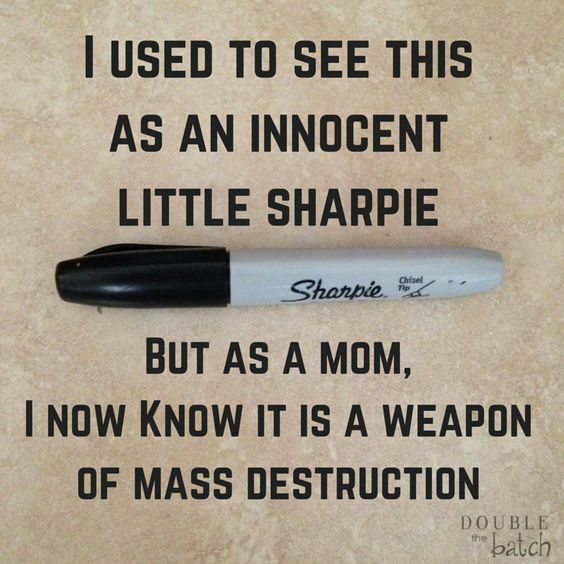 I got them mostly from Pinterest and most of the sources were untraceable. Also, I have added links under the ones whose sources I could find. 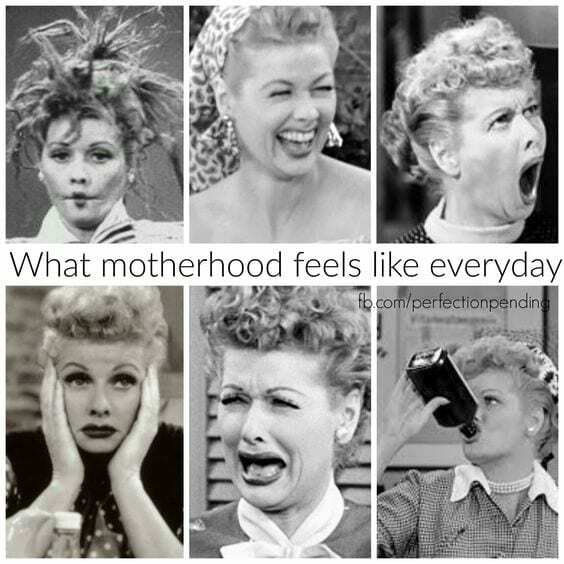 That said, let’s take a look at some motherhood memes. 1. 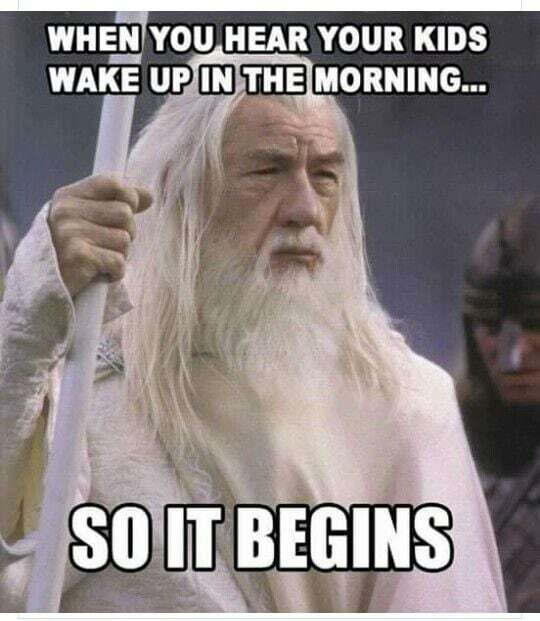 Waking up in the morning – I feel this way when I hear my kids’ voices and their little footsteps. 3. They follow me everywhere I go at home. Yesterday, I went to take a shower and all three girls followed me and sat in front of the bathroom door while I was in the bathroom. My oldest was even singing. When I finished my shower, I came out and asked her what she was doing there and she said she was keeping me company so I shouldn’t be bored. Imagine! 4. 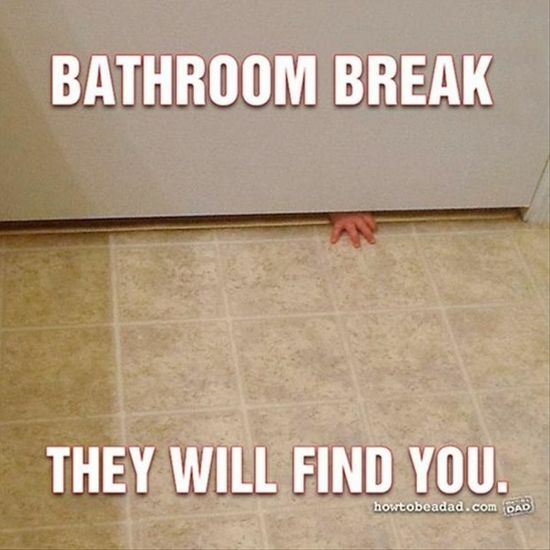 My toddler follows me to the bathroom almost every time she sees me going there. 5. Going out is a HUGE project. Ha. 6. 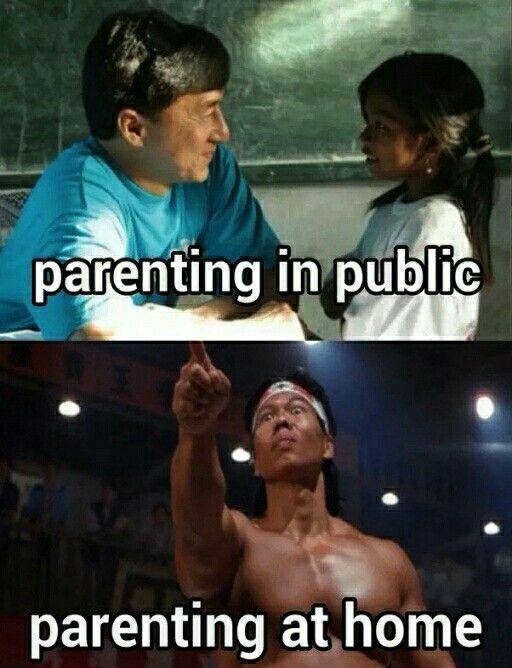 Parenting in public versus parenting at home. Ha. 8. 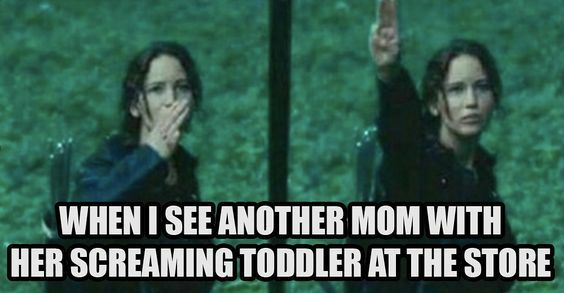 I totally feel this way when I see another struggling mom. I feel you mama. 10. 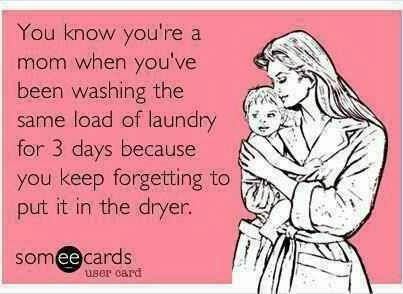 I struggle with laundry. Mr N can testify. I keep forgetting clothes in either the washer or the dryer. Working on it though. 11. Haha. It’s like they hate to see me relax. 12. They tell endless stories. 13. Haha. 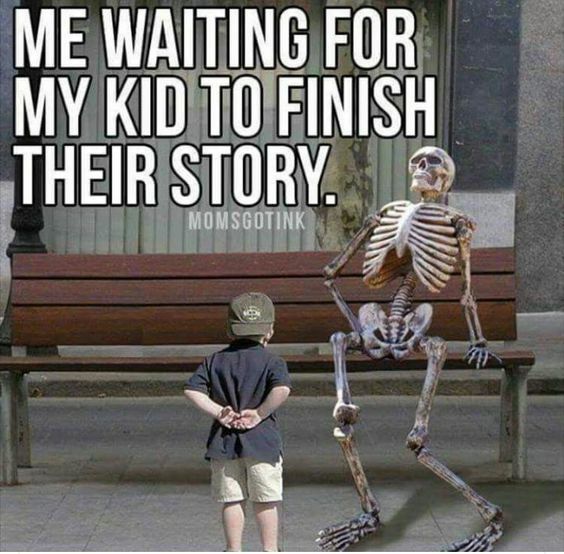 This is so my four year old. 14. 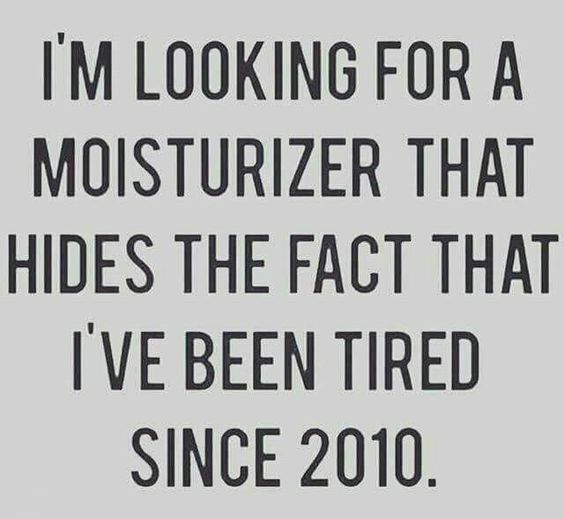 I have been tired since 2011, when I gave birth to my first child. 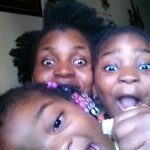 In all, I won’t trade the motherhood experience for anything. I love my kiddos and feel so blessed to be their mama. Hope these memes brighten your day as they did to mine. 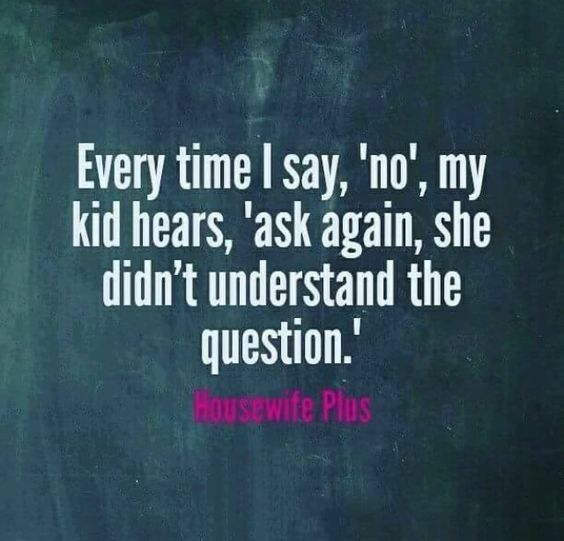 Are you a mom? Which of the pictures above share your experience? Happy new week, my friends! 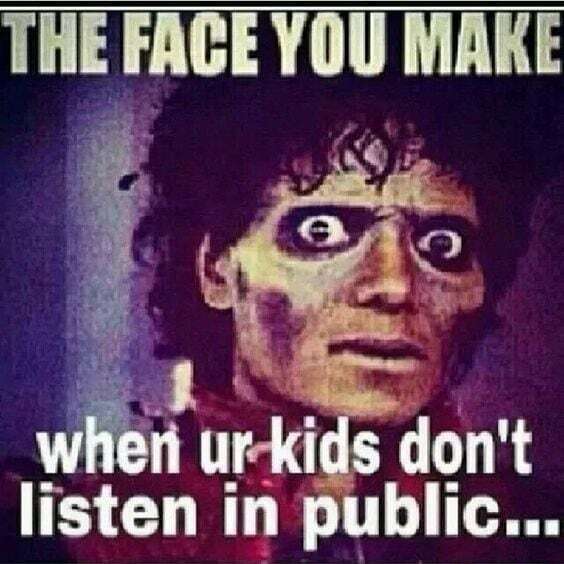 Oh Lawwwdd! I get you on every meme. Quite a world, I tell ya! The scolding outside vs inside cracked me up so bad. 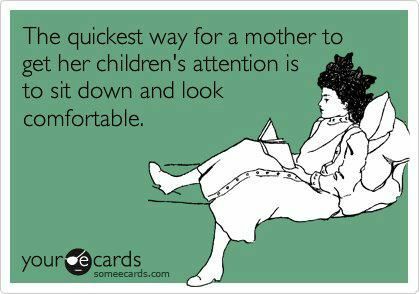 And it’s so true, kids just don’t just like it when you want to relax and and be comfy. All the Same, you can’t trade it for the world. I know right. They want to always keep us on our toes. Sure, we can trade being with them for anything. Priceless. Lovely and heartwarming isn’t it how kids act around their mothers. 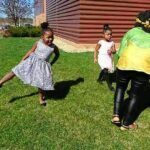 I’m sure the memories will be cherished, at least you can tell them all how they used to follow you around when they grow up -and actually stop following you, and you do all the following, ha! For real, Jessica! 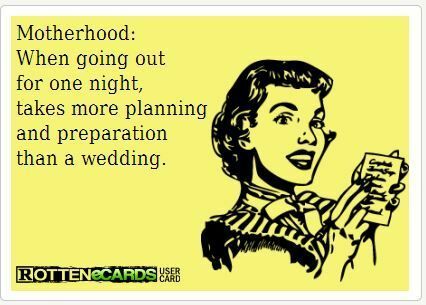 Sometimes I give up going out if it’s not something really important because preparing is just not easy. 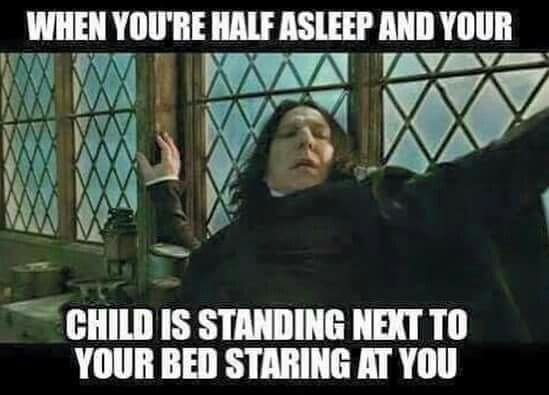 Hahaha trust kids – they never want to be up alone. We have to wake up and join them. Lol. Hahahaha yes they are, Itunu! My oldest says she is never leaving my side even when she grows and gets married. Lol. The feeling is definitely mutual. Thank you! Great memes. Especially loved 11,12 and 13. The first one and that duck pic, hilarious. Good one Sis and thanks. Oh my, 3 months to 14 years! I can only imagine the teenage drama. 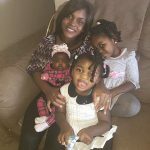 God’s got you, mama. 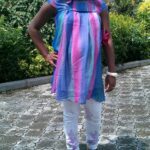 Hahahahhahahaha Precious, please I can’t stop laughing oooo. 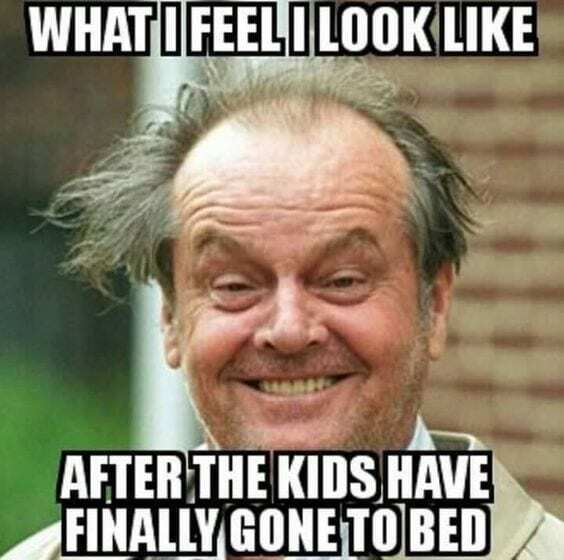 The picture of you waiting for your kids to finish their story and the last picture depicting your face when your children have finally gone to bed really cracked me up. I love this write-up. Don’t worry you will reap the fruit of your Labor one day. My regards to your girls please.